Mario Gianluigi Puzo (/ˈpuːzoʊ/; Italian: [ˈmaːrjo ˈpuddzo]; October 15, 1920 – July 2, 1999) was an American author, screenwriter and journalist. He is known for his crime novels about the Mafia, most notably The Godfather (1969), which he later co-adapted into a three-part film saga directed by Francis Ford Coppola. He received the Academy Award for Best Adapted Screenplay for the first film in 1972 and Part II in 1974. Puzo also wrote the original screenplay for the 1978 Superman film. His last novel, The Family, was released posthumously in 2001. Puzo was born in the Hell's Kitchen neighborhood of New York City, into a poor family from Pietradefusi, Province of Avellino, Campania, Italy. Many of his books draw heavily on this heritage. After graduating from the City College of New York, he joined the United States Army Air Forces in World War II. Due to his poor eyesight, the military did not let him undertake combat duties but made him a public relations officer stationed in Germany. In 1950, his first short story, "The Last Christmas", was published in American Vanguard. After the war, he wrote his first book, The Dark Arena, which was published in 1955. Puzo's most famous work, The Godfather (1969), was encouraged by a suggestion of the publisher of his The Fortunate Pilgrim (1965) who thought that if there was more mafia that it would have been more successful. A story outline was prepared and presented to the publisher who rejected it. After several publishers were approached, Putnam editors met with him without having read the outline. He told them a few stories and the project was approved. With the advance, he got on with the project. He had heard anecdotes about Mafia organizations during his time in pulp journalism. He said in an interview with Larry King that the critical reception of his previous two books without the monetary success to follow made the issue all the more important in the next work in order to support his five children on a government clerk's salary. He was looking to write something that would appeal to the masses. He found his audience with the novel; a number-one bestseller for months on the New York Times Best Seller List. The book was later developed into the film The Godfather, directed by Francis Ford Coppola. The movie received 3 awards of the 11 Academy Award category nominations, including Puzo's Oscar for Best Adapted Screenplay. Coppola and Puzo then collaborated on sequels to the original film, The Godfather Part II and The Godfather Part III. 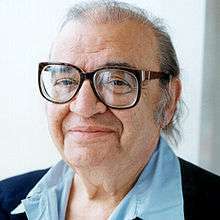 Puzo wrote the first draft of the script for the 1974 disaster film Earthquake, which he was unable to continue working on due to his commitment to The Godfather Part II. Puzo also wrote the original screenplay for Richard Donner's Superman which, at the time, also included the plot for Superman II, as they were originally written as one film. He also collaborated on the stories for the 1982 film A Time to Die and the 1984 Francis Ford Coppola film The Cotton Club. Puzo never saw the publication of his penultimate book, Omertà, but the manuscript was finished before his death, as was the manuscript for The Family. However, in a review originally published in the San Francisco Chronicle, Jules Siegel, who had worked closely with Puzo at Magazine Management Company, speculated that Omertà may have been completed by "some talentless hack". Siegel also acknowledged the temptation to "rationalize avoiding what is probably the correct analysis – that [Puzo] wrote it and it is terrible". Puzo died of heart failure on Friday, July 2, 1999 at his home on Manor Lane in West Bay Shore, New York. His family now lives in East Islip, New York. Fyodor Dostoyevsky seemed to have had an influence on Puzo, providing several quotations, particularly from The Brothers Karamazov, in Puzo's books: The Dark Arena, Fools Die, The Fourth K, and The Family. The Corleone family in The Godfather closely resembles the Karamazov family in The Brothers Karamazov: a powerful father, an impulsive oldest son, a philosophical son, a sweet-tempered son, and an adopted stepson who is maintained as an employee. ↑ Homberger, Eric (July 5, 1999). "Mario Puzo: The author of the Godfather, the book the Mafia loved", The Guardian. Accessed August 10, 2009. "Born one of 12 children, Puzo grew up in Hell's Kitchen on the west side of Manhattan." ↑ Flamm, Matthew (June 2, 2002). "A Demimonde in Twilight", New York Times. Accessed March 15, 2009. ↑ "Mario Puzo and Francis Ford Coppola talk about Godfather script", video at Mashpedia. Viewed September 2, 2014. ↑ Larry King Live on CNN (August 2, 1996). "Mario Puzo Interview" transcript. Accessed September 2, 2014 – via MarioPuzo.com. ↑ "Mario Puzo", in "Obituaries", in Newsmakers: The People Behind Today's Headlines, 2000, Issue 1, Farmington Hills, MI: Gale. ↑ Siegel, Jules (July 9, 2000). "The computer wrote it". San Francisco Chronicle. Retrieved February 10, 2015 – via Book@arts. Petri Liukkonen. "Mario Puzo". Books and Writers (kirjasto.sci.fi). Archived from the original on 4 July 2013.